A 2003 archaeological survey located and mapped stone platforms and ahu (rock cairns). One site is over 800-years old. Ancient Hawaiians visited Lehua for fishing and feather collecting. Lehua was one of the first five islands sighted by Captain James Cook in 1778, which he referred to as “Oreehoua”. Lehua, part of Kauaʻi County, is approximately ¾ -mile north of Niʻihau and about 18-miles west of Kauaʻi. The largest of Hawaiʻi’s offshore islets, Lehua is about 290-acres in size and 702-feet high at the highest point. It is more than twice the size of Kaʻula. The volcanic crater that formed Lehua 4.9-million years ago has been sculpted by marine erosion and is dominated by grasslands and herblands. It is in the rain shadow of Kauaʻi and is very dry, especially during the heat of summer. Much of the island is bare rock; eroded sediment has collected only in gully bottoms, ledges and small caves. Vegetation is sparse but many plants have a growth spurt after winter rains. The south side of the island is characterized by steep sea cliffs notched with sea caves at the water’s edge. The cliffs taper off to low-lying points that border a wide-mouthed bay opening to the north. Lehua Island was set aside as a Lighthouse site under the control of the US Department of Commerce in a proclamation dated August 10, 1928. The island is owned by the US Coast Guard and managed by the State DLNR. When the first biologists visited Lehua in 1931, Polynesian rats and Rabbits had already been introduced. Rats eat many native species of plants, insect, seabirds and intertidal invertebrates; they are a major threat to island by decimating native plants, allowing alien plants to dominate, and impacting smaller seabird species. In 2005, resource managers were able to eradicate the feral rabbits (with that, seabirds no longer have to fight for their burrows;) the efforts to eradicate the rats is ongoing. Landing on Lehua requires permission from the US Coast Guard. Activities on Lehua are also subject to Hawaiʻi Department of Land and Natural Resources regulations for State Seabird Sanctuaries. Disturbance of seabirds and other wildlife within the sanctuary is forbidden. Federal law also protects seabirds, shorebirds, and threatened or endangered species. 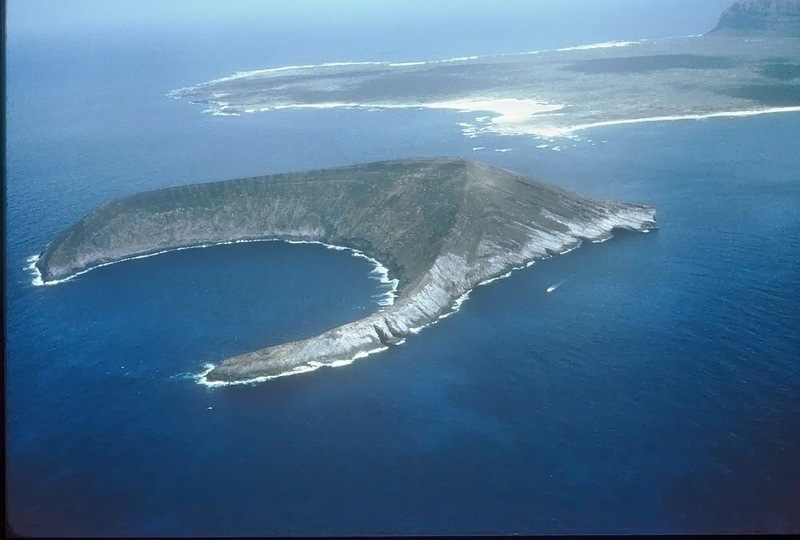 The image shows Lehua Island in the foreground and Niʻihau in the background. In addition, I have added other images in a folder of like name in the Photos section on my Facebook and Google+ pages.